Wonderwise books bridge the gap between stories and facts, perfect for building children's love of learning and reading. What's Under the Bed? travels to the mysterious world that is just beneath our feet. 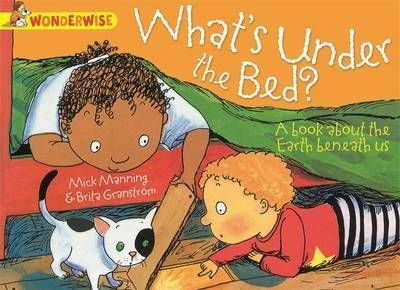 Follow the underground adventures of two children and their cat to explore secret caves, fossils and even silver, gold and diamonds before eventually discovering what really is under the bed. Wonderwise is an award-winning series of information books, perfect for introducing younger children to non-fiction. The series presents facts in a way that will inspire young children's imaginations about the world around them. The books include notes and activities to support the new primary curriculum.